A verandah is a large balcony level with the ground floor. In Australia, especially in warmer northern climates, Verandah may also be applied to similar upper floor balconies, (especially on pubs). Federation period dwellings in Queensland and New South Wales Australia are characterised by Verandahs, (especially the Queenslander). While Victorian house style had a separate curved verandah roof, Federation houses had a sweeping main roof in one unbroken length down and across the verandah. These are very common privacy screens used in single story homes in narrow blocks. The colours are a ‘motley’ of coloured glass panels and reflect the influence of gothic church leadlighting on domestic architecture. These screens are characteristic of Federation style housing. Used timber frames although some brick supports were used. Joinery such as windows, doors, architraves and skirtings featured increasing use of pine due to unavailability of Australian Cedar. NSW Roofing was mainly Marseilles terracotta tiles or shingles. Queensland Roofing was of corrugated galvanised iron. 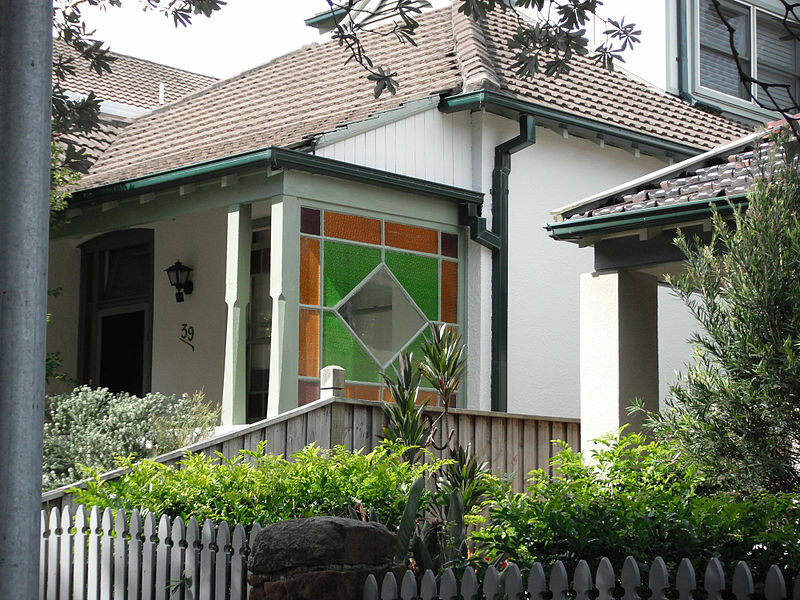 In Queensland, sliding windows were often installed to enclose rear verandahs. Timber broomstick dowel balustrades were common, and there was a gradual decline in use of cast iron lace after 1914. Handrails and Bottomrails Wide choice of handrails and bottomrails to suit your requirements. Manufactured from pink primed LO.S.P. treated (H3) pine for long life. AssembliesHalfords manufacture handrail and friezerail assemblies to your specific requirements. Manufactured from pink-primed top and bottom rails and L.O.S.P. treated unprimed plain, turned and patterned balusters. Just measure between the posts and we will supply a manufactured panel to fit. We also manufacture handrails for stairs. Handrail Plain BalusterHalfords stock a full range of plain balusters in dressed clear treated pine in 930mm and 1200mm lengths for handrails. All have been treated with L.O.S.P. treatment for long life. Frieze Rail Plain BalusterWe stock a full range of plain balusters in dressed clear treated pine in 230mm and 300mm lengths for friezerails. All have been treated with L.O.S.P. treatment for long life. Turned BalusterHalfords stock a full range of turned balusters in 5 different styles. Manufactured from dressed clear treated pine in 930mm and 1200mm lengths. All have been treated with L.O.S.P. treatment for long life. We can custom manufacture to match any style. Turned Frieze SpindlesHalfords stock a full range of frieze spindles in dressed clear treated pine in various lengths and styles. All have been treated with L.O.S.P. treatment for long life. We can custom manufacture to match any style. Baluster Handrail Patterns Halfords Federation Supplies machines over a 100 different styles of PATTERN balusters. Our balusters are router cut and free from the burn associated with laser cut. All have been treated with L.O.S.P. treatment for long life. Standard lengths are 930mm or 1200mm. We can custom manufacture to match any style. Baluster Frieze Rail Patterns Halfords Federation Supplies machines over a 100 different styles of PATTERN balusters. Our balusters are router cut and free from the burn associated with laser cut. All have been treated with L.O.S.P. treatment for long life. Standard lengths are 230mm or 300mm. We can custom manufacture to match any style. Brackets Halfords manufactures in excess of 100 different verandah and corner bracket styles in 31mm thick L.O.S.P treated pine. We can also manufacture our full range of brackets in cedar. Cedar products are subject to quotation as cedar is a more expensive product. We are also able to offer custom sizes in our range or the ability to match brackets to suit your existing brackets or requirements. Our brackets are dipped in anti rot protection after they are manufactured to guarantee long life. Manufactured PostsHalfords offer a wide range of Post designs. All are manufactured from Prime L.O.S.P. treated, finger jointed and laminated timber. We supply turned posts in many styles in 3 basic size of posts (88mm x 88mm, 112mm x 112mm and 135mm x 135mm). The posts can also be supplied chamfered, fluted or engraved in many different styles and patterns and in various lengths. We have the ability to match your existing posts if required. FinialsOur range of finials are designed to meet with your requirements ranging fom 600mm to 1800mm in lengths with five different turned styles. All are manufactured from Prime L.O.S.P. treated, finger jointed and laminated timber. DroppersDroppers are used in the manufacture of archways and are the small turned section between arch panels. They are made from either 42x42mm or 66x66mm square sections and are designed to match your style of finial and split trims. Post Top CapitalsPost base and cover to suit your posts. These are metal support brackets to suit each size post with a federation style plastic cover. Simply place the cover over the metal base to compliment the look of your post.